PCI works with plastic prototype molding partners to create custom injection mold tools and components built with a production mentality. Quick turnaround time and cost-effective pricing allow customers the ability to order prototype components that replicate a production part's design. 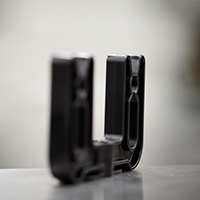 PCI ensures injection mold tools are built to specification, allowing the customer to have full confidence that the prototype component is capable of being tested, marketed, or even used for short term or low-volume production needs. 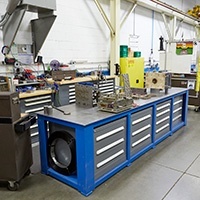 These partnerships have allowed for successful tool launches at Plastic Components, Inc. and will continue to be a focus area of innovation in the years ahead. An early step in manufacturing the perfect part begins with developing the mold. Not only does building the tool take a great deal of time and accuracy, it is often the most significant investment of the manufacturing process. As a result, it is critical to work with a partner that can get it right the first time. At PCI, with support of our tooling partners, our expert manufacturing engineers leverage the power of modern CAD software, select the proper metal and coatings that can stand up to the rigors of production and deliver years of precise production. PCI’s tool transfer facilitation includes all the necessary steps to ensure a smooth tool transfer that limits loss of production time. All engineers, technicians and service personnel will be in close communication throughout the process and have a thorough understanding of expectations prior to your tool’s arrival at PCI.